Youth Business Alliance is an organization created to help students in schools reach a higher level of success. Through support of volunteer speakers, the YBA has been helping children achieve their high school diplomas, technical training, and hands-on internships since 2012. The Youth Business Alliance (or YBA) works with 14 schools and approximately 350 students a year, changing lives and enhancing the workforce. Recently, the ACE Charter School of Canoga Park, one of the 14 schools involved with YBA, came to 911 Restoration to see how the inner workings of a national franchise’s headquarters works. 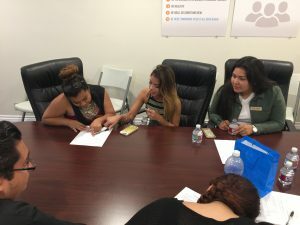 ACE (Alliance Community Empowerment) is known for aiding in many areas of education, from getting a high school diploma and healthcare training to developing life skills and reuniting families. It also plays a part in gang reduction and rehabilitation for embattled students. They go beyond the call of a normal councilor, those helping the students see them as friends and family helping them reach a brighter future. If you’re looking for your chance to rebound, contact them for more information. Idan Shpizear, co-owner and CEO of the national wear damage restoration franchise has been on both sides of the coin. With the help of his friend and partner, Peleg Lindenberg, Idan built this company starting with $3,000 and a Volvo. Today there are more than 70 branches across the US and Canada providing Fresh Starts to families and business owners whose properties flood or otherwise suffer disaster. These experiences have shown Idan what it takes to both restore the emotional balance to someone’s life as well as the discipline that goes into making healthy life choices for one’s future. One of the biggest lessons Idan learned was how to market his business well, so that is what he taught the students of YBA and ACE when they came for the tour of the company. After a presentation imbuing the students with all that he had learned, they were asked to break into groups and attempt to market a basic product. The students did a phenomenal job, applying what they have learned from the after school organizations along with what Idan had just taught them. They ended the day with a company-wide, interactive game and pizza. Youth Business Alliance is always looking for more speakers to empower the children and young adults that make up their classrooms. If you would like to get involved in community enrichment, get in touch with YBA today. If you know someone who may be interested in enrolling in YBA or ACE, contact them and learn more about their fully accredited teacher and leader programs, “Introduction to Business and Career” courses, or the many influential brands that support them, such as Disney, Google, SpaceX, and Riot Games. 911 Restoration is very grateful for the opportunities to help train and educate children as we believe they are the future. Idan visits schools periodically to bring his knowledge to them. 911 Restoration supports communities, whether it is through disaster restoration, or by helping to build strong future leaders. The YBA aims to connect today’s youth with real business professionals. 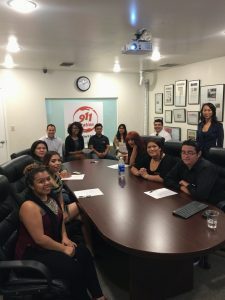 911 Restoration and the Youth Business Alliance come together to connect those children in need of better opportunity with real business professionals that can provide it.